This is an introduction to day trading and scalping guide. I wrote before that scalping and day trading are not the best way to start your trading journey. Still, if you really want to learn how to day trade I have few tips for you. Probably it will be some major pair. You want a pair with good trading conditions (volatility, low spread…). EUR/USD, USD/JPY, and few others are ok to scalp. Do not fall into a trap that more pairs you trade at the same time means you can make more money. It doesn’t work like that. There are many pros of trading one pair. It is easier to follow economic data, to get familiar with price behavior during different sessions during a day. I highly recommend trying focus just on one FX pair. You are a beginner so you want to learn more about scalping and trading during a day. There is no need to take a big risk – it is not a casino. Think about your trading strategy, money management, and other important things. Learn. Do not try to be some superstar of scalping from day 1. Learn about different strategies. Do not fall into the trap of one correct approach. Some strategies work for some traders and for others don’t. You should try and test few different approaches. Maybe price action is for you or scalping with indicators. There are so many different ways to make money. Test them. Is scalping and day trading, in general, a good way for a living? I do not think so. Not for everyone and what is most important – not for new traders. There are few reasons for that. To be a serious scalper you need trading capital. Without capital, you will be only playing around with small leverage. Scalping is not easy, you have to be most of the time in front of the screen and it can be frustrating that you spend all that time to make few dollars. Day trading and scalping are not best ways to learn about trading and get experience. On lower time frames things are happening fast. It is easy to forget about fundamental things like trend lines, support and resistance and many others. There is to little time for new traders to think about it. When you trade let’s say 1h time frame or 4h you have time to draw important support and resistance lines, to check the current trend, situation in the higher time frames and so on. You have time to make decision. You can think about it. As I mentioned it few times before, scalping and day trading are specific. Sometimes you must wait for a good setup for many hours. It is not a so simple that you trade for 1-2 hours a day and you are done. It doesn’t work like that. You have to watch things on your screen, it is a normal job. 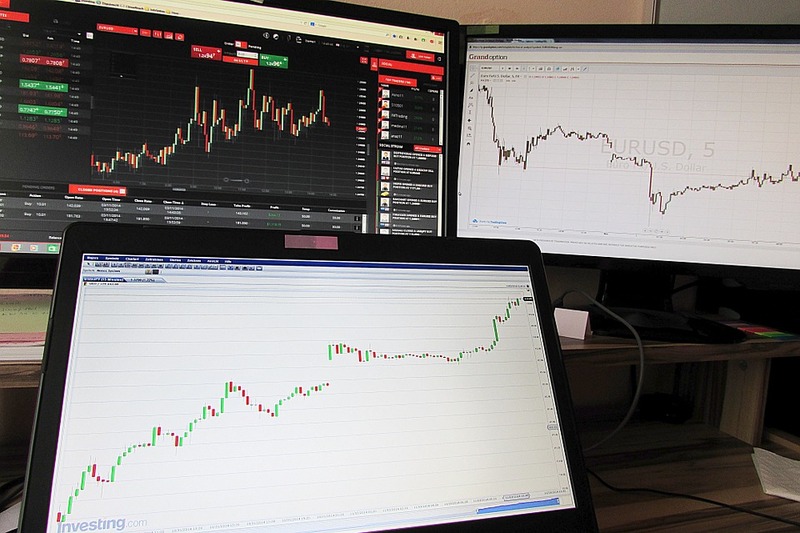 If you start scalping with little trading capital then it is almost sure that you will try to trade with too big positions because you want to make profit bigger than few dollars. If you do not have trading capital and experience, it is better to use that time to earn that capital somewhere else. You still can trade on higher time frames and learn about trading. You can come back when you have proper trading capital. This one is important. People have huge expectations when it comes to day trading and scalping. Maybe the reason for that is because of how many traders promote their courses like it is an easy way to get rich fast. I know one thing for sure – it isn’t. Scalping and day trading are the most difficult areas of trading. You have to be in front of your screen most of the time, stress can be sometimes huge. It is easy to get depressed, to not follow your trading plan when you are losing. It is really hard. Still, people believe that this is a fast and easy way to make money. They are wrong. I know many traders who make very good money and they trade only 1h+ time frames. So it does not matter if you are scalping, swing trading, long-term trading… You can make money in so many ways. So what can you expect from scalping? You can expect that you can make good money if you have trading capital and working strategy which you can execute. You can’t expect to make money fast with scalping if you have little trading capital and you are new to trading. Trading can destroy you and I am 100% serious about that. For many people, it is much better to trade on higher time frames. The less time you spend in front of the chart the better chances are that you won’t take decisions based on emotions. When you are day trading or scalping you must follow the charts and price actions for most of the time. Hence the risk of the bad trade is bigger. It can be a reaction to some news or move you see. Remember, we are talking here about trading with leverage. It is easy to open a really big trade. Yes, if all goes well you can make like 2000$, if not you will lose half of your trading account. That is not trading – it is betting. That is why scalping is so dangerous for new trades who sometimes even don’t understand how leverage works. So is day trading and scalping so bad? No, actually I prefer day trading to longer term trading. I like to finish the day with no positions open, to know how I did today. For me, it was a process. For a while, I tried day trading and failed because of many reasons. The main one was lack of trading capital. I was trying to get rich fast. Then I moved to higher time frames, started to save money for my trading account, to learn how markets work. Now, after many years of getting trading experience, I get back to day trading. The great thing is that you can change your trading. There are times when I simply do not have time to day trade. I switch to swing trading on higher time frames. It is a good thing to remember.